Gravity Forms email notifications can be used to send simple payment receipts for eWAY transactions. When you build a form with Gravity Forms, you typically want to get an email sent to you for each submission. 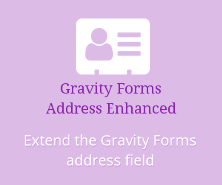 By default, Gravity Forms creates a simple notification with all the form fields in it. It’s nicely formatted into a table, so that you can easily see all the fields and what was entered. Sometimes you also want to send an email to the person who filled in the form. Rather than a table with everything, it’s nicer to format the email in more natural language and with only selected details from the form. The first step is to create a new notification. Enter the basic details for the notification, including where to send it (generally the email field in the form) and who to send it from (generally your company / website name and the admin email address, or a custom address). Note that we’ve selected the Payment Completed event. That means that this email will only be sent on a successfully completed transaction. If you always want the notification sent, set the event to Form is submitted. Now you need to write your notification email. 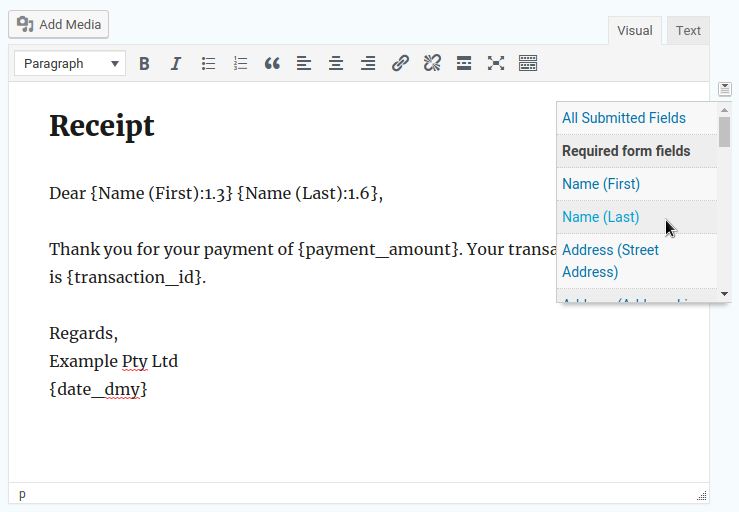 You can include some fields from the form using merge tags, like the first and last name, as well as the date of entry. There’s a little drop-down list of merge tags on the end of the message field. 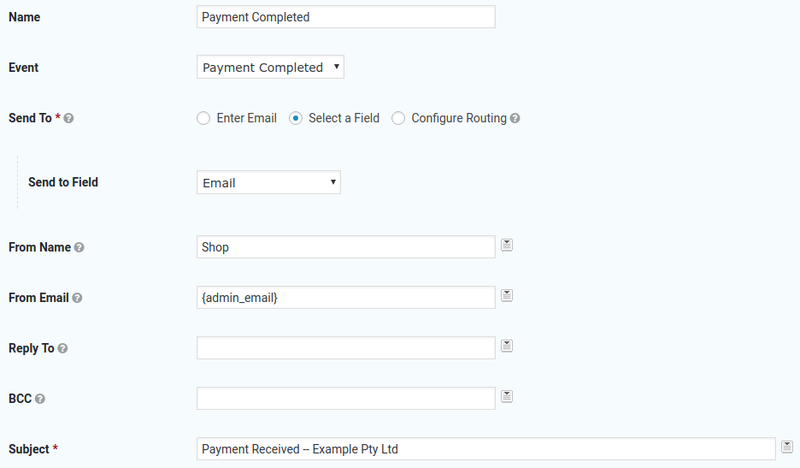 Because this form uses the Gravity Forms eWAY payment integration, it has a few extra merge tags for adding payment details like the payment amount and the transaction ID. Not all payment integrations support these merge tags, however. NB: if one of your Gravity Forms add-ons supports the Entry Date merge tag (like eWAY Pro), you should use that instead of the Date merge tag. When you resend a notification, the Date merge tag will always use today’s date, not the date the entry was submitted. Once you save the notification, it will be sent whenever someone makes a successful payment.